1. I cry during every episode of Parenthood. 2. I love to take secret, sneaky pictures of strangers doing strange things in public. 3. I sometimes eat cupcakes with a fork. Like Elaine’s boss in Seinfeld. What do we think of people who eat things like cupcakes, French fries, candy bars and snow cones with a knife and fork? Are they dumb? Or just plain sophisticated? I vote BOTH. Last week I combined numbers two and three and took a picture of a stranger eating a chocolate chip cookie with a fork and knife. He was out in public TOTALLY SHAMELESS. I took a sneak pic and thought about putting it up on Twitter, but then felt guilty. Here’s this guy doing a very private thing out in public and I’m about to take a picture and laugh at him to my internet friends. So I didn’t. These cupcakes are delicious. Weirdly delicious. Fork and knife totally optional. These cupcakes are dang delicious. Are we over cupcakes now? I feel like I haven’t made a cupcake on this blog in more than a year. Cupcakes are like the popular girl in school that you sort of have a girl crush on and then she says one too many flighty comments that make your eyes roll and then you’re over her. Cupcakes are usually too sweet, too overly decorated and just too overly present. But I needed something to put this green tea frosting that was in my brain, so here we are. These cupcakes are chocolate-EY! 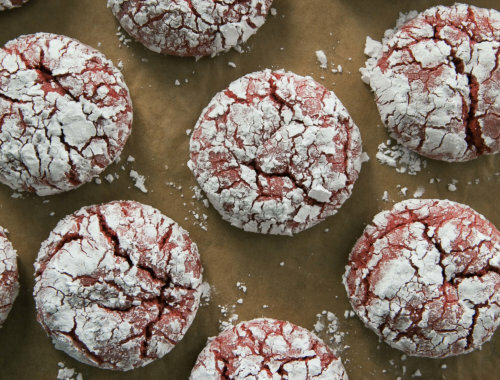 And they have a secret ingredient in them which makes them super light and fluffy. That’s right, Sprite. The carbonation in the soda helps with the overall airiness in these cupcakes. It’s science. Matcha powder can usually be found at any tea shops or grocery stores. They sell it at Whole Foods too, or you can buy it online here. I love mixing matcha powder with half hot water and half warm milk. I’m currently on a 3pm green tea latte habit which I can’t get enough of. To make it I mix a teaspoon of matcha powder with half a cup of hot water and a half a cup of warm milk. Divine! Matcha powder is just green tea leaves deveined and stone ground until it reaches a very fine powder. It dissolves really quickly in hot water and seamlessly in this buttercream frosting. 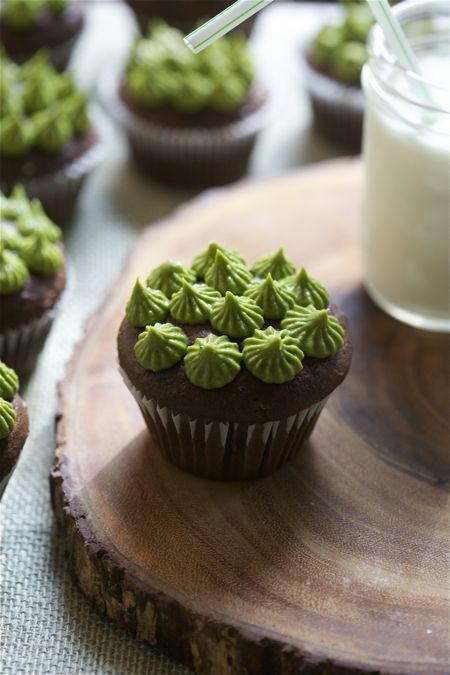 These cupcakes are chocolatey, moist and super light and airy, while the green tea frosting has a comforting flavor that warms you right up. I loooove dhese cupcakes..and this is coming from a girl who’d usually rather have a biscuit. 1. 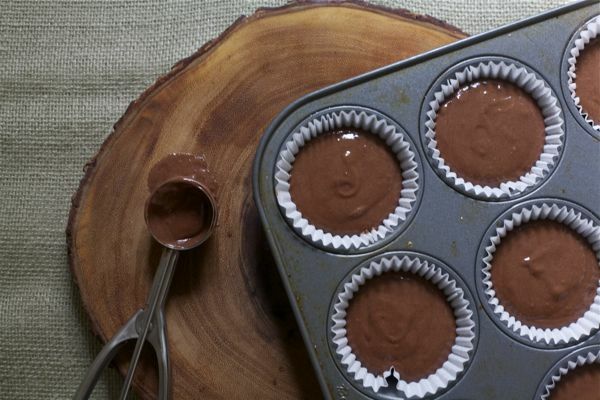 Preheat the oven to 325 degrees F. Generously spray the inside of the cupcake liners with nonstick cooking spray. 2. In a small saucepan, heat the Sprite, cocoa powder, and butter over medium heat until the butter is melted. Add the sugars and whisk until dissolved. Remove from the heat and let cool. In a large bowl, whisk the flour, baking soda, and salt together. 3. In a small bowl, whisk the eggs until just beaten, then whisk them into the cooled cocoa mixture until combined. Gently fold the flour mixture into the cocoa mixture. The batter will be slightly lumpy–do not overbeat, as it could cause the cake to be tough. 4. Pour the batter into the prepared cupcake liners/tin and bake for about 20 minutes, rotating the pan halfway through the baking time, until a small skewer inserted into the cake comes out clean. Transfer the cupcakes to a wire rack to cool completely. 5. Meanwhile, add the butter to a medium bowl. 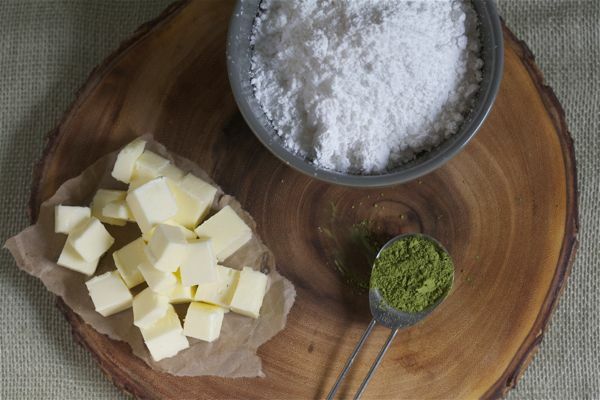 Sift the powdered sugar and matcha powder over the butter and add the buttermilk. Using a hand-mixer, beat until smooth, about 1-2 minutes, being sure not to over beat the butter. You might need to add 1 more teaspoon of buttermilk to reach the right consistency. Transfer to pastry bag with a 4B star tip. If you like you can pipe it in a circular motion, or you can pipe it like I did and make little stars. 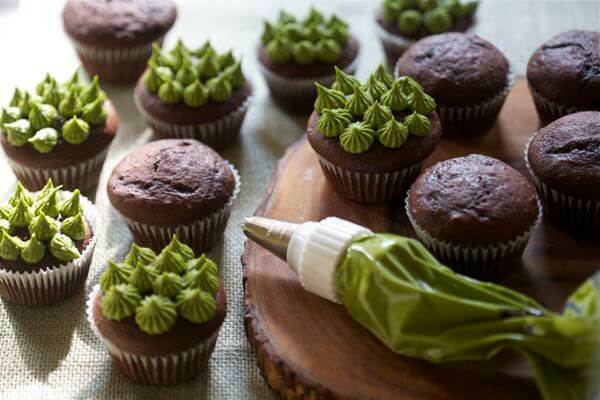 Love the matcha green tea frosting, it’s not only super pretty to look at I bet it also tastes delicious! These are so unique! Love that frosting! Using soda is such a great idea! I’m not a huge fan of sodas, but I winder if seltzer would work the same way…? I’ve been known to attack a cupcake with a knife and fork. After I’ve licked off all the frosting. Yeah, I’m weird. These look so good. The frosting turns such a lovely green. A 3pm green tea latte fix is something I would love to start. Way better than more mediocre office coffee. I will always cry when I watch Parenthood…. and even if I make it through an entire episode without crying, BAM! The last 2 minutes go in for the kill and here come the waterworks. I want these beauties for lunch right meow. They end every episode with a tearjerking 2 minutes. It’s a plan! Is matcha powder easy to find? I love the color! We recently made fun of my uncle because he eats EVERYTHING with a fork and knife.. I saw him use that technique on a pickle spear that was served along side his sandwich for lunch. Sprite is an interesting idea, these sound great! I cry during every episode of Parenthood too! So glad I’m not the only one. Even the smallest things on that show get to me. It really is amazingly written. i ate 35 cupcakes at an event earlier this year and by far the best one was the ones made with 7up! I love the bright green color! I drink 2-3 cups of green tea per day, so I think I would definitely be a fan of this frosting. I’ve never bought matcha powder, but you make it sound quiiiite appealing! I had a friend in college who ate hot cheetos out of the bag with a fork. Because she didn’t like the red stuff getting on her fingers. So strange, but hey. To each his own, right? Yes I knew someone like this too! HA! Weird. First off, these are adorable. I love the combination of chocolate and green tea! these sound delicious!!! and i cry during every episode of parenthood, too. a friend of mine introduced me to the most genius way to eat a cupcake. rip it in half (so you are holding the top half that has the frosting on it and the bottom half that doesn’t. ) place bottom half upside-down on top half and eat. this way the frosting is in the middle, like a sandwich, and you get frosting in every bite! 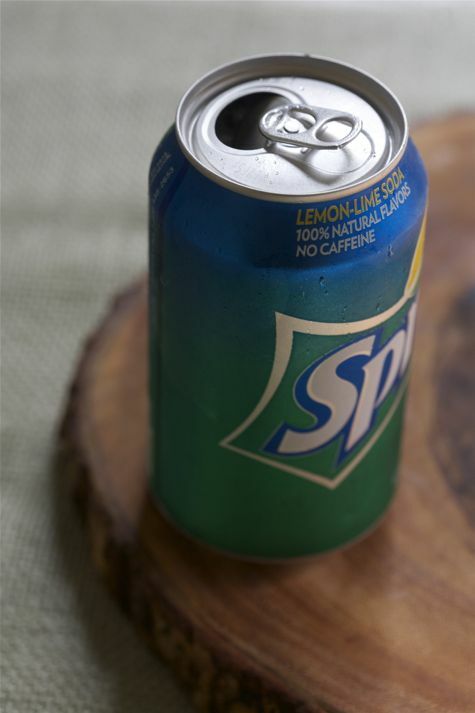 What happens if you use carbonated water instead of sprite? I went through a phase where I put matcha in and on everything. These cupcakes look incredible! I have a friend who edits for “Parenthood.” Told him to stop making people cry. Haha! I once saw a family eat burgers with knives and forks over at Bitburger in Venice. I believe they were visiting from overseas (so European, non?). It was entertaining. In other news, I want these cupcakes! Om nom nom! Looooove this, you clever girl!! I’m all over anything with matcha in it. I’m with you, I’ve never been a cupcake kind of girl. I find they tend to be bland and dry and the frosting just takes over! I haven’t made cupcakes in yeeeears because of this. But, after seeing these and your hot chocolate cupcakes, I think you may have convinced me to make them sometime. Maaaaybe. Green tea frosting? Hold the phone- that is SO original. 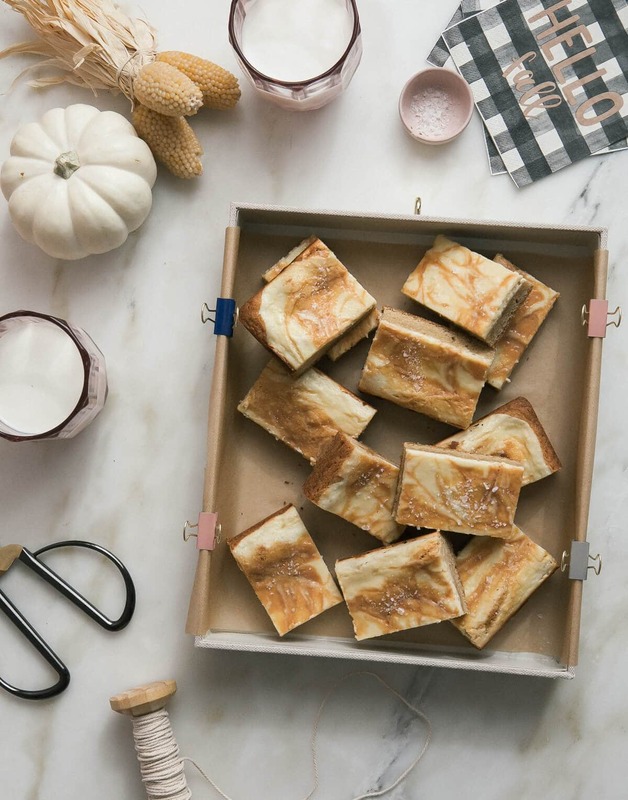 I appreciate that you’re creating NEW recipes! Love it! Eh, no se si aqui en España vendan ese polvo de té verde, supongo que sí porque hay muchos chinos. Espero poder hacerlos pronto, ahora que el frío ha llegado y puedo prender el horno. Hey, I eat cupcakes with a fork. I don’t find myself weird, umm, maybe some people do hehe. I just found your blog and I love it! Must try this cupcake recipe soon. Love matcha powder, i haven’t had luck finding it so i’m grateful for your sources, thanks! i was obsessed with the Starbucks green tea latte for ages but happy to hear I can recreate it at home now. Wow! Love the creativity with the green tea frosting! Such a neat, natural way to color the frosting too. Holy moly! What an amazing combo. Love this, very yummy 🙂 I have to play with my piping tips more. I rarely do more than a straight pipe! These look so intriguing. I love the styling but I would really like to try out that afternoon matcha latte. I’m totally with you on #1 and 2! My hubby always sneaks a peek at me to see when I start crying…And although it’s been a while since I’ve taken a sneaky stranger picture, it’s usually about weird mullets or crazy clothes…Thanks for the laugh! Parenthood makes me cry every-dang-time. Also, I sometimes eat a cupcake in a cereal bowl with milk poured over it, with a spoon. Oh, lady. 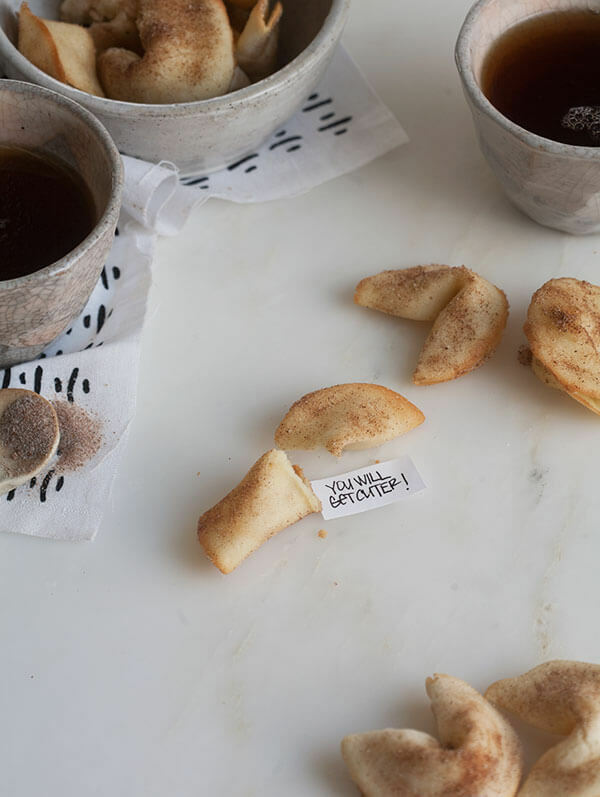 You had me at Matcha. Then the Parenthood tears and creepy-stranger-picture taking, yeah, I knew I always liked you. I love these. I am currently in the process of making jasmine green tea cupcakes.. it’s interesting. I really want some of this tea powder. May have to stalk the supermarket this afternoon. These cupcakes look so yummy! The frosting is such a rich color. 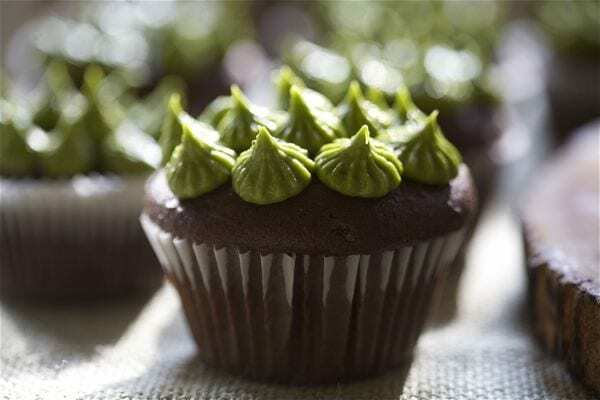 I would like to try macha frosting for my cupcakes next time. I usually make coconut sugar carrot cup cake! I made these I wasn’t in love with the cupcake but the icing was great! these cupcakes were amazing! the chocolate cupcake was one of the best I’ve ever tasted! I loved how even though there is a lot of sugar in the icing, when combined with the match it is not overly sweet at all! Made these yesterday and everyone loved them.